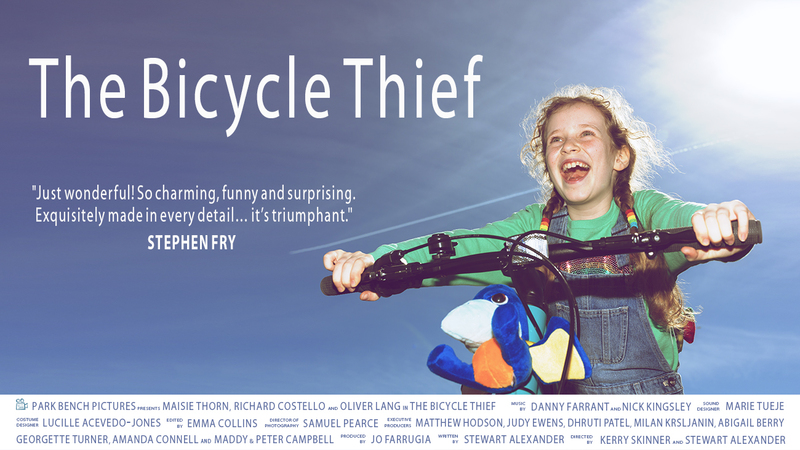 The script for a new short film by Kerry Skinner and Stewart Alexander called, The Bicycle Thief has been chosen for Directors UK’s ALEXA Challenge 2018. Full details of the competition can be found here: https://directors.uk.com/news/challenge-alexa-2018/ but the gist is that Park Bench Pictures will recieve an incredible amount of support from both Directors UK and Arri, including the most sought-after camera on the market – the Arri ALEXA, anamorphic lenses and other state of the art equipment – free of charge. The film has to be shot in just two days by April 5th, 2018 and completed within a month afterwards. Kerry and Stewart are currently putting a crew together, and planning the production. More news to follow as we progress to our next prodution. Join our mailing list below to get regular updates on what we are up to.